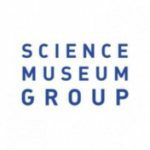 The Science Museum is looking for researchers to work on 4 week-long research projects for our medical galleries project (details and pay below). If you are interested please email Oisin Wall at oisin.wall@sciencemuseum.ac.uk. We are developing major new Medicine Galleries to showcase thousands of objects from our medicine collections for the next generation. Thanks to the initial financial support from the Wellcome Trust, the Heritage Lottery Fund, and the Wolfson Foundation, these five new galleries will open in 2019, transforming much of the first floor of the Museum and putting the history of medicine and biomedical research at the heart of the Science Museum. Over the coming months the museum will be inviting a broad range of projects from collaboratively supervised PhDs to research fellowships. We are currently seeking researchers to work with our curators and carry out short projects and help deepen our knowledge of particular areas of the collection. This position will involve research in secondary literature and other relevant resources. It may also include working with the museum’s collections, for which training will be provided. The researcher will receive a fixed fee to produce text following a set brief and should be able to express complex subjects clearly and accurately within a tight deadline (4 weeks). We are looking for a diligent post-graduate or early-career researcher with excellent organizational and communication skills. Candidates should be available to work in February and early-March, 2017. Produce an object biography and a report about the social and historical context of the Autotype Cervical Cell screening machine, 1960-65 (object number: 1989-425). You can look at the object via our online catalogue. The Science Museum hold an extensive collection of amulets. They were primarily collected in Europe, Africa, and the Middle East in the late-nineteenth and early-twentieth century. Many of them came from the Edward Lovett (1852- 1933) and Adrien de Mortillet (1853–1931) collections We are looking for a researcher to produce a report, bringing together existing research on different collections of amulets and using it to inform our understanding of different types of amulets in the collection. The Science Museum holds four medals awarded to soldiers of the Shropshire Light Infantry for their efforts during an outbreak of plague in Hong Kong in 1894 (A671159, A671309, A671652, A677103). Who were these men? What did they do during the outbreak? What else did they do as a colonial force in Hong Kong? How were the soldiers seen by the people of Hong Kong? You can look at the objects via our online catalogue. The fee for each project will be £1750. Candidates should send their CV as well as a brief statement (less than 1 page), detailing their area of research, their suitability for the position, and how they would approach their chosen research question, to oisin.wall@sciencemuseum.ac.uk by January 22nd, 2017.